This photo is of my brother with a student after school. 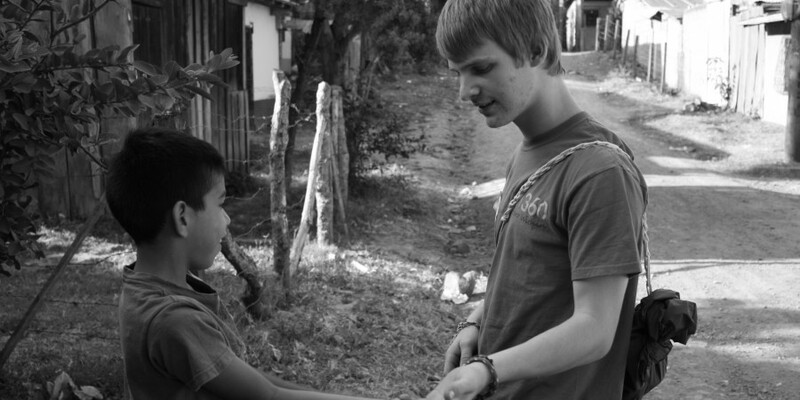 This was taken in Nicaragua where my brother, his friend, my mom, and I taught English to a very povershed neighborhood in the city of Jinotega. This kid really connected with my brother. Even though they spoke different languages, they were able to interact and help each other. After school they would play and joke together. This photo demonstrates the more personal connection some students develop with their educators that separate good from great teaching.